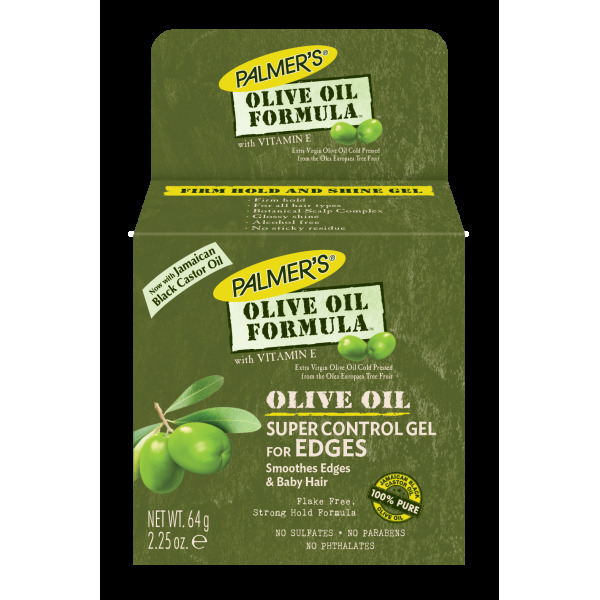 Provides extra strong hold and control to tame even the most unruly edges at the temple and neck. Provides extra hold without over-hardening. 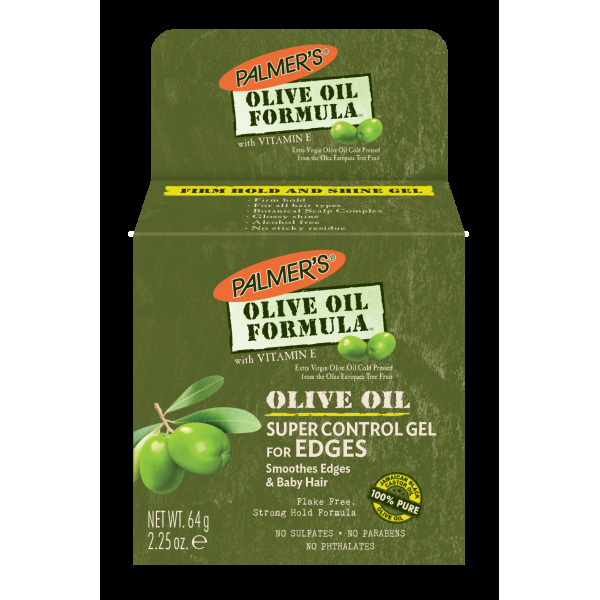 Great for creating smooth styles, updos and ponytails. 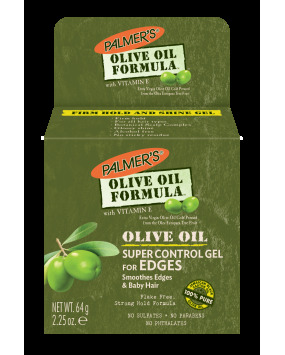 Apply Palmer's® Olive Oil Formula™ Super Hold Edge Gel for Edges to temples, edges of hair line or other areas as needed to smooth and hold baby hair and fine edges down for a sleek style. 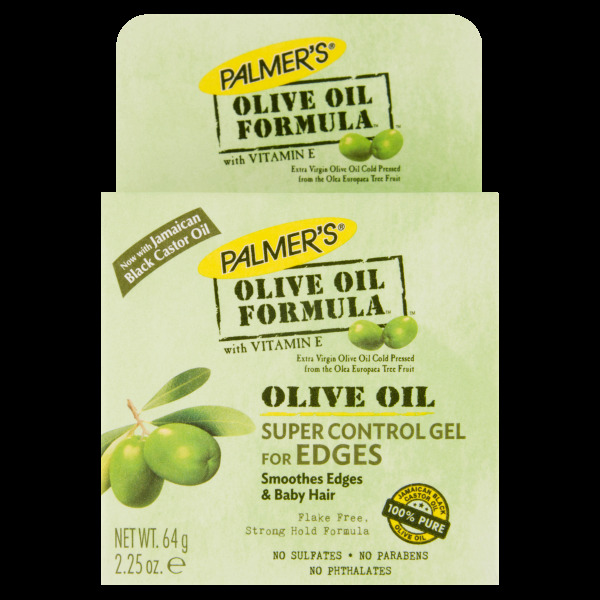 Extra Virgin Olive Oil, Vitamin E, Jamaican Black Castor Oil.